The Museum welcomed legendary musician Steve Cropper for an object donation and performance on December 1. 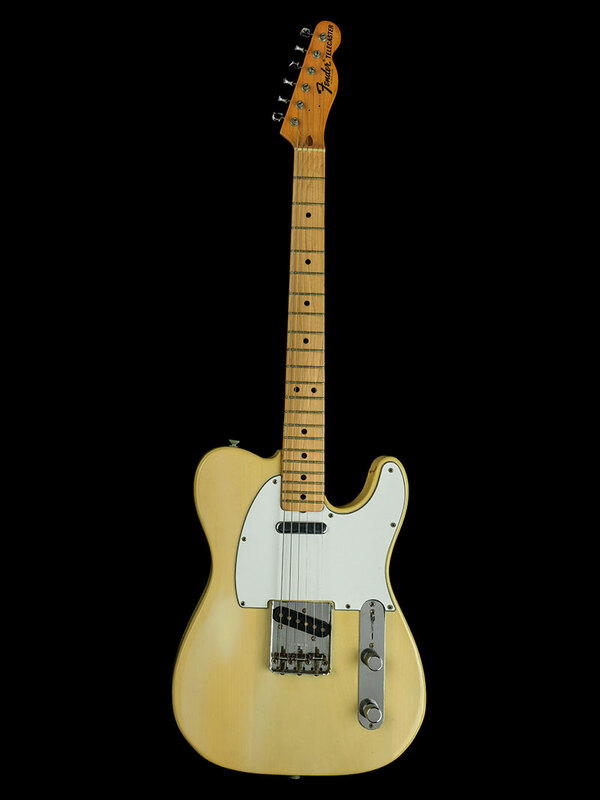 Among the items added to the national collection were the 1961 Fender Esquire “Doc” that was played in the Otis Redding recording “(Sittin’ on) the Dock of the Bay” (1967), and the 1975 Fender Telecaster electric guitar that was played in a scene from the movie The Blues Brothers. Mr. Cropper was joined by members of the Steve Cropper Band as well as fellow Blues Brothers member Lou Marini. The instruments join others in the collection that help us tell the story of Memphis rock, R&B, and soul music. The Presidential inauguration takes place on January 20, and if you’re visiting the Museum or the National Mall that day you should plan for road/Metro closures and crowds. The only access to the Museum on the 20th will be through the Constitution Avenue doors, and there will be NO access to the National Mall from the Museum. Our doors will open at 8:30 a.m. to provide a warm space, café and bathroom facilities for inauguration visitors. However, please note that the exhibitions will not be accessible until the Museum fully opens at 10 a.m. We will also be showing a live broadcast of the swearing-in ceremony and the President’s speech. We’re opening a new display on January 27. American Ballet traces the history and evolution of ballet in America since its introduction in the 1930s, and features costumes worn by ballerinas Violette Verdy, Marianna Tcherkassky, and Misty Copeland. Coming off view will be Puppets and Muppets, Toys and Childhood , and Laughing Matters (January 23), as well as The Norie Marine Atlas and the Guano Trade (January 29). If you’re planning a visit later this month, please be aware that a section of America on the Move will be closing for renovations. Check the visit page for the latest updates. We’ve installed a new interactive flight simulator ride on the lower level! 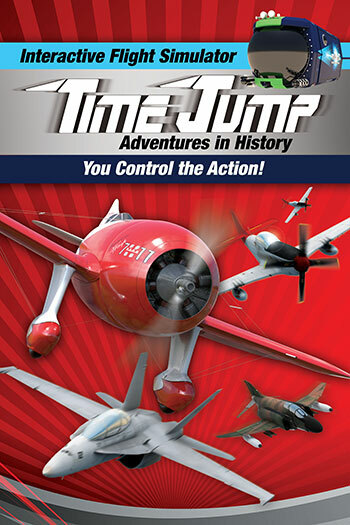 “Time Jump: Adventures in History” lets you climb aboard an interactive “time-traveling” simulator and accomplish various mission objectives in historic aircraft. Choose from a selection of fighter planes or popular racing planes from aviation’s golden age. Take to the skies as you climb, dive, and roll 360-degrees! Rides are available for $10. 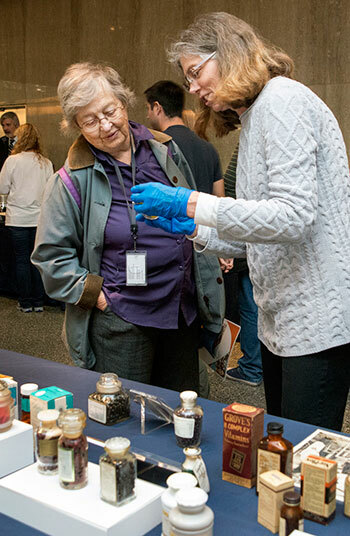 The Smithsonian Council for American History is a membership group that supports a variety of the Museum’s critical needs, from the preservation of national treasures to the presentation of world-class exhibitions. Council members receive an array of exclusive opportunities in appreciation of their generosity. The Museum is grateful to the following members who recently joined or renewed their membership since November 1, 2014. 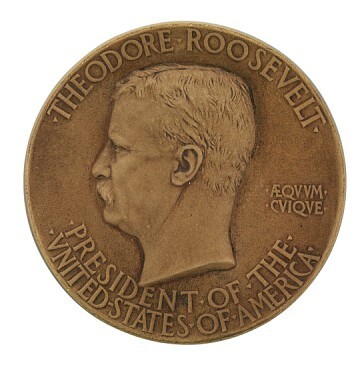 The Honorable Federick J. Ryan, Jr.
Mr. and Mrs. Togo D. West, Jr.
From annual Fourth of July celebrations to contemporary additions to the Hall of Presidents, and the 1987 celebration of the Constitution’s bicentennial to the swearing in of new citizens on Main Street, U.S.A., Disney Parks have become potent symbols of Americana. Join museum specialist Bethanee Bemis as we explore Disney’s role in shaping our collective memory of American history. Visit whatitmeanstobeamerican.org for original humanities content, including personal essays and scholarly articles. 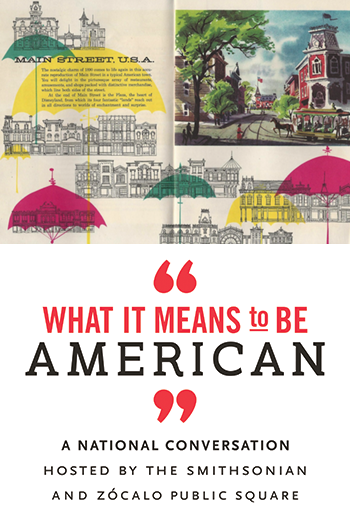 What It Means to Be American is a national, multiplatform, multimedia conversation hosted by the Smithsonian’s National Museum of American History and Zócalo Public Square. January is a great time to start eating healthier, but that doesn’t mean you can’t indulge in our top 10 tastiest food history posts of 2016. The Electoral College has made headlines lately. 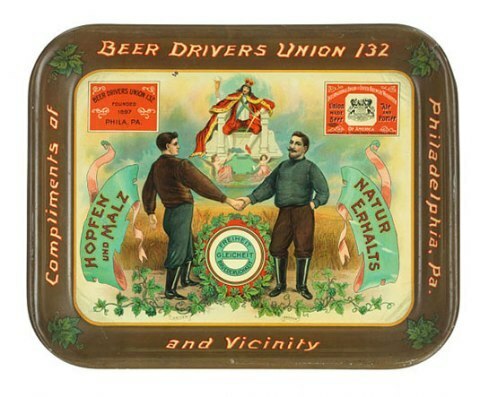 Learn about the political drama of the 1893 presidential election. See any Oscar contenders this year? Check out awards and trophies of the past before you hit the red carpet. Inauguration Day has brought both national unity and partisan poking. Five U.S. presidents have visited this museum so far. Learn more about these presidential museum-goers. Can advertising be art? Take a look at these vivid advertising posters from the 1920s and let us know what you think. One school teacher watched the attack on Pearl Harbor unfold in 1941. She coped by writing down everything she saw. Take a close look at these World War II-era Chinese banknotes and you’ll find… turtles? Looking forward to seeing women depicted on American five, 10, and 20 dollar notes soon? This announcement is a wonderful opportunity to take a look at how woman suffrage has been depicted on coins and currency in the past. We really appreciate everyone who reads our blog. Which posts did you history buffs love best in 2016? Find out. Without a teleprompter, William Jennings Bryan gave one of the most spellbinding political speeches in American history. The “Wild West” provides some of America’s most powerful and iconic imagery. 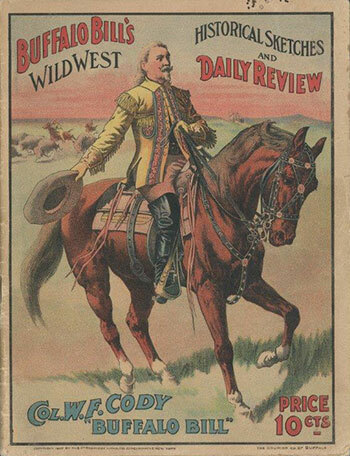 Well-known figures like Buffalo Bill shaped perceptions of the American West, but most popular culture portrayals were largely inaccurate. So why do these perceptions endure? And what are the facts behind these well-known fictions? Join us at the next American History (After Hours) as we use these questions to dive into the story of Buffalo Bill’s “Wild West” and its impact on American culture. The evening includes a panel discussion followed by objects out of storage, experts on hand, as well as appetizers and themed drinks and activities courtesy of our friends at Wigle Whiskey. SPECIAL NOTE: Spark!Lab and Wonderplace will be closed for annual maintenance and cleaning January 3-10. A section of America on the Move will also close temporarily toward the end of the month for renovations. January 14 & 15, 7:30 p.m.
January 26, 6:30 – 9 p.m.
Songwriters Hall of Fame and Rock & Roll Hall of Fame inductee Steve Cropper used this electric guitar during the filming of the 1980 movie The Blues Brothers, as well as on the Blues Brothers album Brief Case Full of Blues.